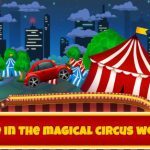 Tiny Lab Productions has brought another solid game to the Android mobile platform recently, in the form of Fun Kids Train Racing. Instead of riding a car or a bike, in Fun Kids Train Racing, you are placed behind the controls of massive trains that must take their passengers to the safety of the train station. You’ll have a chance to experience exciting levels, cool graphics, and fun gameplay. Fun Kids Train Racing takes things maybe a bit less serious than other games made by Tiny Lab Productions since you can’t die and your train just can’t get out of the tracks, but the game is still fun to play with tons of new trains to unlock. Some levels will make you race other trans, and if you’re fast enough you will win some cool prizes. And even though the game is pretty easy to beat there are some things you could do that will make the game even more enjoyable to play. Stay with us and discover what to do in order to become Fun Kids Train Racing master. Let us begin. Since your train can’t get destroyed the best strategy to play is just to step on the gas pedal and let your train swoosh through levels. You don’t have to worry about turning on your back, or hitting a deadly obstacle. As soon as a level starts just place your finger on the gas pedal and don’t move it until you finish a level. This way you’ll be able to finish levels faster, and you’ll take your passengers to the station with light speed. 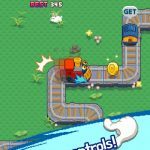 Holding the gas button will make your train go pretty fast, fast like a wind, enabling you to finish every level with ease. But, in Fun Kids Train Racing, you’ll face a couple of other trains with which you’ll race. Racing levels are tougher than regular ones because other racers can be really, really fast. In order to beat them, you’ll have to find some extra acceleration. Do not worry, though, since quickly tapping the gas pedal will make your train to go even faster. If you start tapping the gas button instead of just holding it, your train will accelerate to its max speed in seconds. Aside from making you win every race, tapping technique will make you finish levels much quicker than before. Once you start rolling on the rails, there’s nothing that can stop you. Your train can’t fall off the tracks, nor it can lose its passengers because its speed is too high. You don’t have to keep your speed steady in order for your passengers to stay in their coaches, you don’t have to slow your pacing in order to safely get down from steep hills, and you don’t have to drive your train as fast as possible in order to climb huge hills. Just go forward, destroy every obstacle you encounter and finish each and every level without dropping a sweat. One of the things different from other Tiny Lab Productions games is that in Fun Kids Train Racing you won’t collect any coins. Instead of collection coins while playing levels, the game will give you coin prizes after you beat each level. And since there are no coins to collect, the prizes at the end will be very high. You can earn more than 300 coins for successfully completing a single level. Since the game allows players to watch ads and double their coin prizes, we advise everyone to watch those ads since they will receive huge prizes. 600 coins are way better than 300 and after just a half a dozen levels you can collect enough coins to unlock as much as six new trains, which is awesome! Unlocking new trains won’t give you faster machines to drive. Instead, new trains just look different, they aren’t faster. If you don’t care about that and just want to unlock new trains in order to grow your train collection, we have some good news for you. Fun Kids Train Racing has a huge library of unlockable trains, there are dozens of them and each and every one has unique design. So, if you’re one of the people who loves getting all of the unlockables, look no more since Fun Kids Train Racing is a perfect game for you. There are so much different trains that you’ll have to replay almost every level in order to unlock them all. Once advice for those trying to get all the trains: replay only levels with highest prizes given in the end. Since some levels can give you more than 300 coins, and with the ads that can double your prizes, if you play a high-prize level for just ten times you’ll be able to unlock a dozen of new trains! 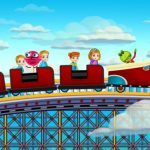 Fun Kids Train Racing will turn off its ads for a small fee. But if you turn off your data connection before entering the game, you’ll turn off ads for free! Just make sure to not enter the game before Turning off both mobile data and Wi-Fi. Only then you can enter the game. If you launch the game first and then turn off data connection, the ads will still keep showing since the game will download a couple of them so it can show them even without an active data connection. Don’t sweet about not getting a three-star rating since not getting it is next to impossible. No matter how slow you are you’ll always get a three-star rating while playing Fun Kids Train Racing. Just keep your train steady and three stars will be yours. You don’t even have to win racing levels, even if you lose you’ll get three stars, but your coin prize will be lower if you lose. Thanks for reading our Fun Kids Train Racing guide. 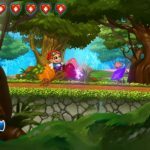 Even though the game is pretty easy we tried collecting helpful tips and we shared them with you. We hope advice found in this game has made you a better Fun Kids Train Racing player. Thanks for reading and happy gaming!